Mahira Kakkar is a New York City-based actor who has worked in film, television and theater. 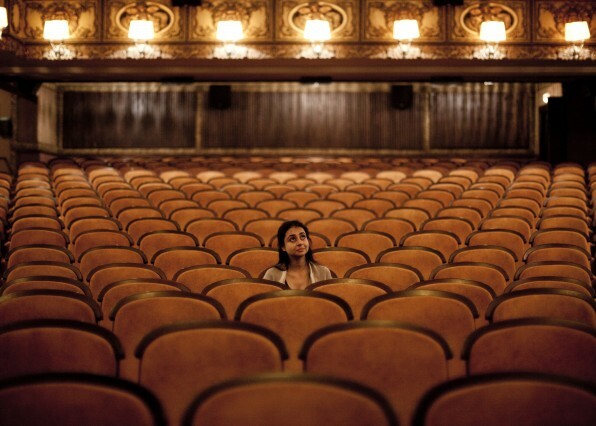 Born in Kolkata, India, she is the first person of Indian origin to attend The Julliard School’s Drama Division. Since then she has appeared in numerous plays both in New York and around the world, and guest-starred on many television shows. In 2013 she starred in Hank and Asha, for which she won Best Actress in the Napa Valley Film Festival. She is drawn to wit, humor, physical and language-driven pieces, young adult fiction with unlikely heroines, joyous dance, outrageous fashion, the color pink, and dogs. She is proud to call both the United States and India home. Louie ("A La Carte") Co-star Louis C.K. Dialects: Standard American, Afghani, Standard British, Cockney, French, German, Pakistani, Indian Fluent in Hindi and Bengali. Verification Question: What is Mahira's last name? Check out the New York Times’s review of Henry VI. Check out the New York Times’ review of The Winter’s Tale. The Monsoon Wedding musical has been extended to July 9! See the Berkeley Rep website for more details. Mahira was really excited to work with Louis C.K. on his show Louie. Her scene is on Louie C.K.’s official YouTube channel. Check it out! Mahira Kakkar plays Asha and she is wonderful. She has such a beautiful energy to her and she is just delightful. You can’t take your eyes off her. Comments about Hank and Asha begin at about minute 44. You can listen to the entire episode (#87) here. Check out this lovely review of Hank and Asha at SydneysBuzz. … the beguiling lead performances are what ultimately make “Hank and Asha” such a watchable little adventure. Like the film itself, Kakkar and Pastides are lively, adorable and thoroughly winning. Hank and Asha premieres in Los Angeles tomorrow! Hank And Asha opens April 18 in Los Angeles at Laemmle NoHo 7! 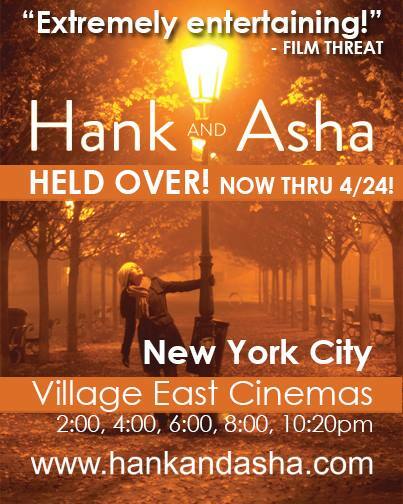 Hank And Asha is being held over at Village East Cinema in New York, NY has been extended another week! You now have until April 24 to go see it. Hank and Asha was reviewed in today’s New York Times. Check it out, and remember, Hank and Asha is playing for one week at at Village East Cinema, starting tonight! Hank And Asha Premires in NYC Tomorrow! My film Hank And Asha opens in theatres April 11 in New York at Village East Cinema! Mahira Kakkar as Asha is, in a word, adorable. Her performance is truthful, fleshed out and filled with a true joy that is never “bubbly” or vapid, but comes from a sincere depth and strength of character. Read the full review of “Opus” in the New York Times.